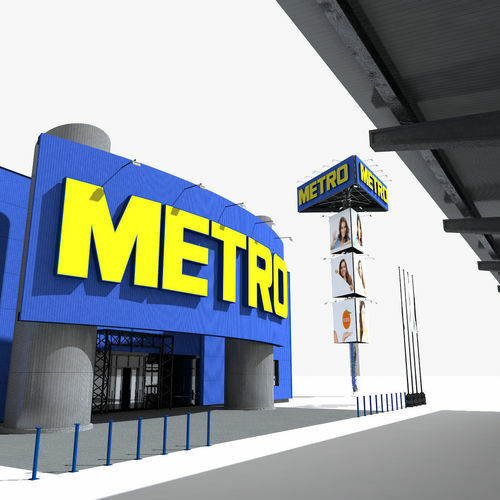 Realistic 3D model of Metro Cash & Carry Hypermarket. World style. More objects to compose your own model. File format - Cinema 4D R12, 3DS, FBX, OBJ. Original file format - Cinema 4D R18. Some objects and materials in a scene are named not appropriately. Real world size (system units - mm). The model is completely ready for use/visualization in Cinema 4D R12.